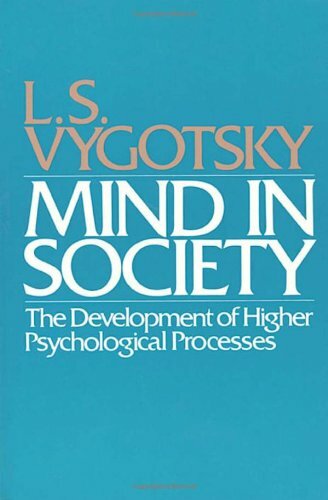 The great Russian psychologist L. S. Vygotsky has long been recognized as a pioneer in developmental psychology. But somewhat ironically, his theory of development has never been well understood in the West. Mind in Society should correct much of this misunderstanding. Carefully edited by a group of outstanding Vygotsky scholars, the book presents a unique selection of Vygotskyâs important essays, most of which have previously been unavailable in English. The Vygotsky who emerges from these pages can no longer be glibly included among the neobehaviorists. In these essays he outlines a dialectical-materialist theory of cognitive development that anticipates much recent work in American social science. The mind, Vygotsky argues, cannot be understood in isolation from the surrounding society. Man is the only animal who uses tools to alter his own inner world as well as the world around him. From the handkerchief knotted as a simple mnemonic device to the complexities of symbolic language, society provides the individual with technology that can be used to shape the private processes of mind. In Mind in Society Vygotsky applies this theoretical framework to the development of perception, attention, memory, language, and play, and he examines its implications for education. The result is a remarkably interesting book that is bound to renew Vygotskyâs relevance to modern psychological thought. About: The great Russian psychologist L.